Coconut oil and sweet potatoes are a match made in foodie heaven. 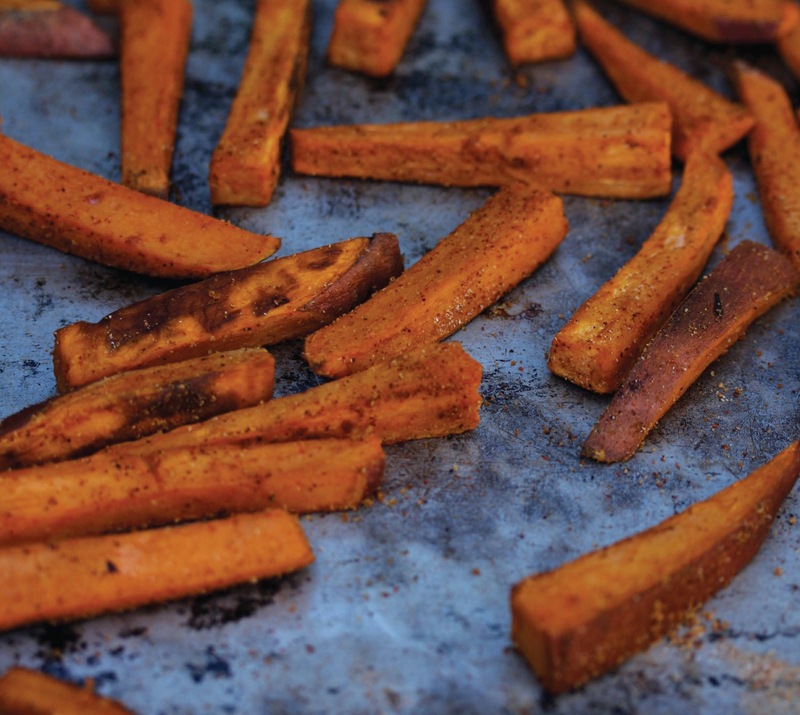 Add a special homemade spice blend that sneaks in a little maca powder, and these BBQ baked sweet potato fries are nothing short of “wow.” Recipe and photo contributed by Julie Morris. Reprinted with permission from Superfood Kitchen: Cooking with Nature’s Most Amazing Foods. * © 2012 by Julie Morris, Sterling Epicure, an imprint of Sterling Publishing Co., Inc. While the fries are cooking, mix together all the spice powders and remaining dry ingredients in a small bowl. When the fries have finished roasting, remove the pans from the oven and immediately sprinkle some of the spice mixture on top (use amount to taste), tossing the fries around with a spatula to ensure even coating. Serve warm with Maqui Ketchup (page 158) or regular ketchup, if desired. Superfood Tip: The peel on root vegetables is where the most nutrition is, and sweet potatoes are no exception. Roasting these fries unpeeled locks in more flavor and offers extra minerals.